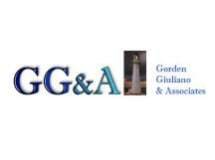 From our law office in Parsippany, New Jersey, the attorneys at Gorden Giuliano & Associates serve a diverse range of corporate and individual clients throughout the greater New York City metro area who are dealing with complex civil and commercial litigation matters. Focusing primarily on maritime, insurance, and aviation law, we represent the rights and interests of injured and disabled workers who have third-party lawsuits or claims that fall under the Longshore and Harbor Workers' Compensation and Defense Base Acts. We provide exceptional advocacy and support to clients who are facing complex disputes involving a host of issues, including product liability claims, contract disputes, construction site accidents, maritime accidents, and more. Operating under a mission to deliver the highest level of service and support possible, the attorneys at our law firm possess decades of combined legal experience. We have successfully handled hundreds of trials and arbitrations, as well as proceedings before a variety of regulatory agencies. Moreover, we also maintain an effective appellate practice, so we can help you challenge or defend a previous ruling on your case. Whether through litigation, trial, settlement negotiations, or arbitration, the attorneys at Gorden Giuliano & Associates can help you find the solutions you seek efficiently and cost-effectively, no matter how complex your situation. For more information, contact our Parsippany law office to set up an appointment for a free initial consultation and find out how we can best serve your needs.